Welcome to McCosh Family Dentistry! At McCosh Family Dentistry, our goal is to provide top-quality family dental services for our friends and neighbors in the Margate, Florida, region. We are a family-owned business serving the community we live in. So you can always be assured of getting the kind of professional, yet personalized service you and your family deserve. At McCosh Family Dentistry, we provide full-service dental care for the entire family, from the youngest to the oldest. We specialize in general and cosmetic dentistry, including tooth whitening and bleaching; crowns, bridges, and dentures; periodontal treatment; root canals and implants; and much, much more. Our friendly, helpful and caring professional staff will provide your family with the same high-quality, personalized care we would want for our family. Whether you are in need of a routine dental checkup, emergency dental services, or even Invisalign teeth straightening, you will find all your dental needs accommodated by our professional dentistry team. McCosh Family Dentistry was founded by and is led by Dr. Fernanda B. McCosh, DMD, one of the most respected dental professionals in South Florida. 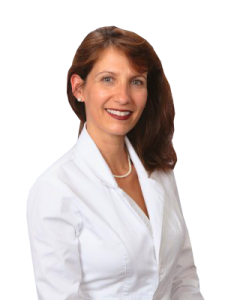 Dr. McCosh originally attended dental school in Sao Paulo, Brazil, and first practiced dentistry in her native country with her renowned father, Dr. Antonio Bergamin, before launching her own practice in South Florida. Today, McCosh Family Dentistry enjoys its reputation as being one of the friendliest and most successful family dental practices in the area, serving hundreds of your friends and neighbors on a daily basis. If you haven’t yet visited McCosh Family Dentistry, we encourage you to make an appointment and stop by. We would love to introduce ourselves and get to know you better. Our dental office family plans on serving our community successfully for many years to come. We genuinely hope you will let us serve you and your family as well.